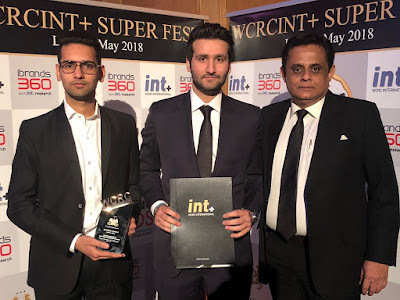 Wonder Cement and Tarun Singh Chauhan, Management Advisor, Wonder Cement, at a grand ceremony held in London. Asia Business Summit is one of the most prestigious and biggest multi-platform global projects on brands & leaders that celebrates the most promising brands from across 18 Asian Nations. Asia’s Most Promising Brands is the foremost brand research and recognition intellectual property in the world in terms of research process, mega events globally, number of research editions across the continent. The research for 2017 includes brands across South East Asia, GCC and Indian Sub-Continent. Asia’s Most Promising Brands is a research Intellectual Property of World Consulting & Research Corporation. Asia's Most Promising Brands has been awarded to more than 750 brands from 21 different Asian countries in the last four editions and is the biggest multi-platform global project on brands and leaders across print, portal and electronic formats. The awards are selected based on the most transparent selection process which involves research, jury and validation.